The Keto Diet is one of the most popular diets that is currently trending! One of the major reasons for this is that it allows you to lose weight without having to work out. This low-carb diet also allows you to eat a ton of your favorite foods like bacon, cheese, butter, cream, meat, and more cheese! As you progress in the Keto Diet, you will start to realize that it has serious food restrictions. If you disregard them, you will kick yourself out of ketosis and continue to gain weight. One of the ways to stay strong in the Keto Diet is to always have low carb snacks available. We all get the munchies and sugar cravings once in a while! 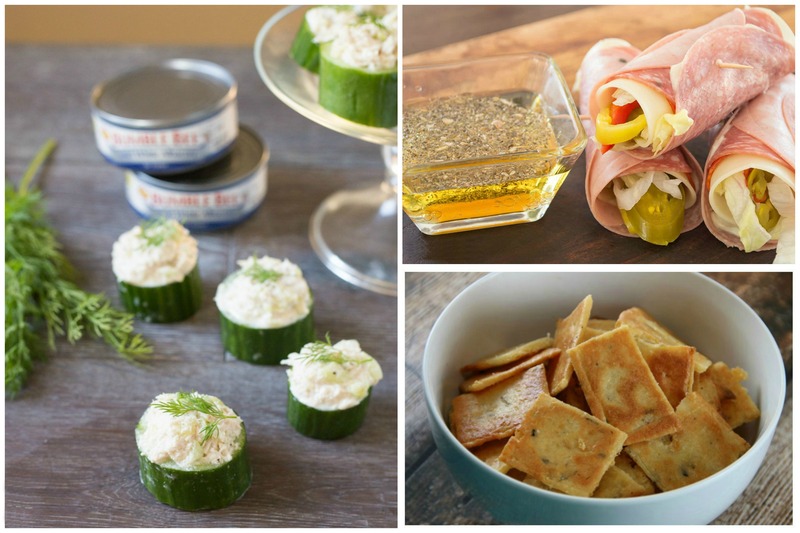 Below are 13 of my favorite keto snacks – all easy to make and absolutely delicious! I had to put this one first because it is my all-time favorite! Sometimes, you just need to have the taste of pizza while on the keto diet. 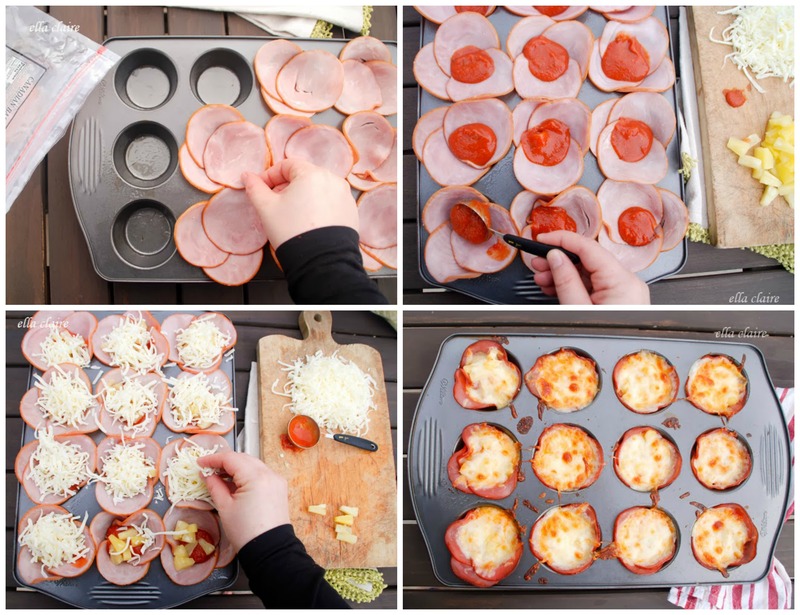 These mini pizzas are the perfect solution and so easy to make! This keto snack can also easily cross as a lunch meal! 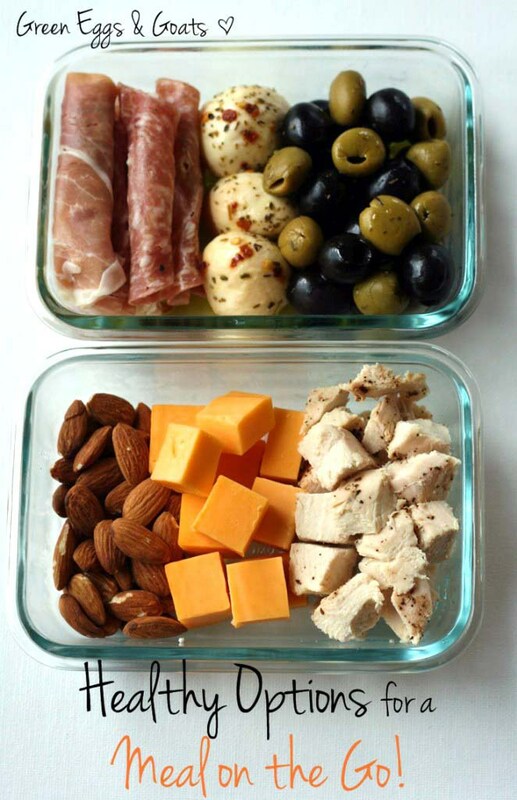 Salami or pepperoni, almonds, cheese, olives, and chicken are all keto approved! Just be careful with your almond consumption – nuts are high in fat, but also high in carbs. Guess what!? These little puffs of deliciousness only have 1.2g carbs in them and are super high in fat to keep you feeling full longer! You can add whatever vegetables and cheese you prefer – just make sure the veggies are keto-approved. And as a bonus, you can freeze a whole batch of them for when you need a healthy snack, but don’t feel like making something. My husband’s all-time favorite sub sandwiches is the Italian sub! However, on the keto diet, you can’t eat all those carbs. These roll-ups are the perfect substitute! 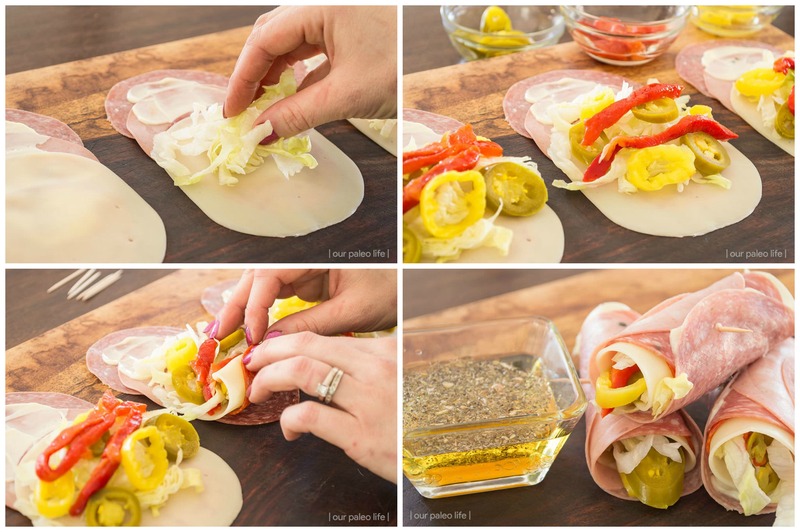 You tightly roll the meat, veggies, and cheese, then secure with a toothpick, and dip them in a oil/vinegar combo with some Italian seasoning. These little guys are absolutely perfect for an on-the-go meal or a quick snack! Why do potato chips have to be so delicious? As in, I could eat a whole family-sized bag while watching a movie! 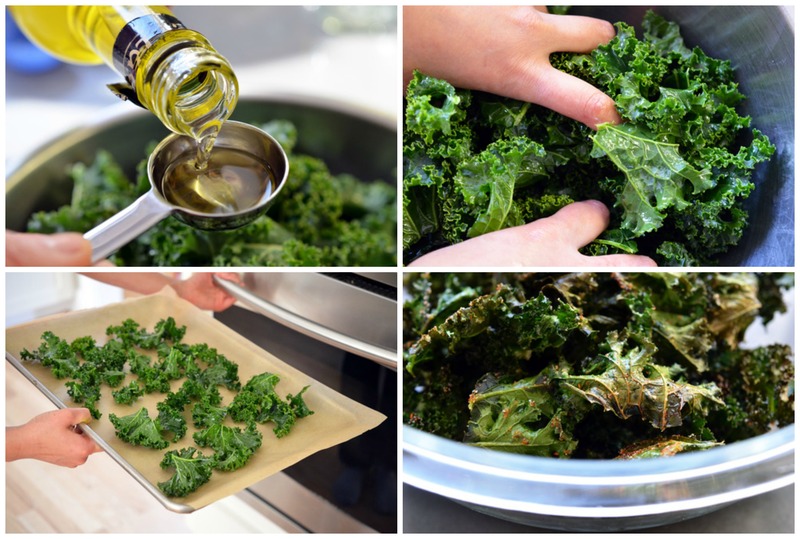 This is where these kale chips come in handy! 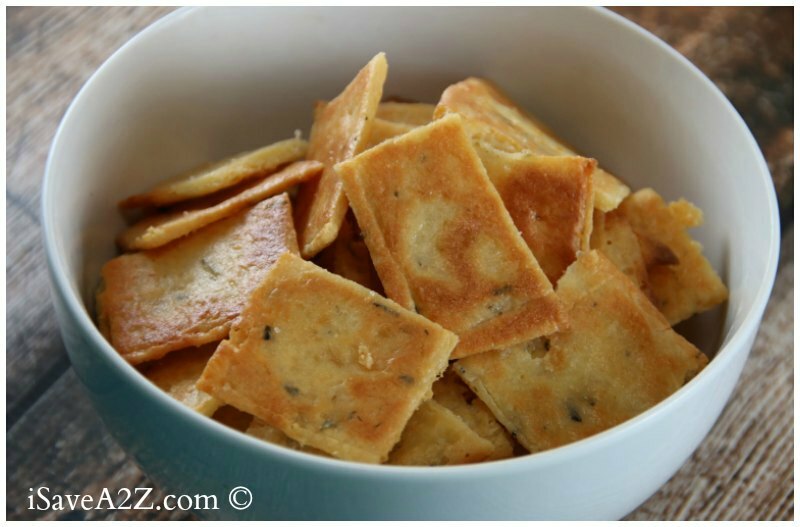 They are tasty, crunchy, and super easy to make. You can grab a handful of these and feel guilt-free as you munch away! Do you love tuna as much as I do? 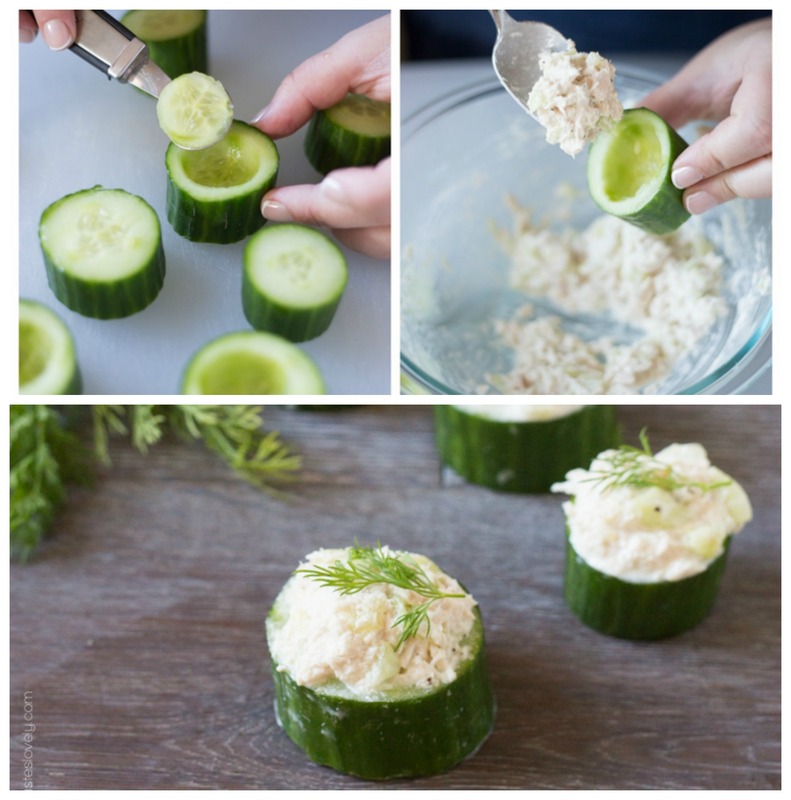 These cucumber tuna cups are not only cute, but also easy and absolutely delicious! Personally, I always peel the skins off cucumbers. But if you don’t mind the taste and consistency, leave them on because they are very nutritional! Do you have sugar cravings and need a sweet keto treat? 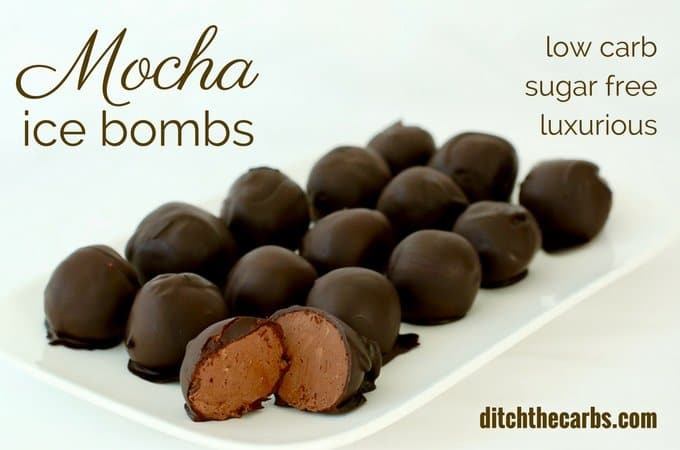 These mocha ice bombs are an amazing blend of coffee and chocolate! The best part is that they only take 10-15 minutes to whip up! 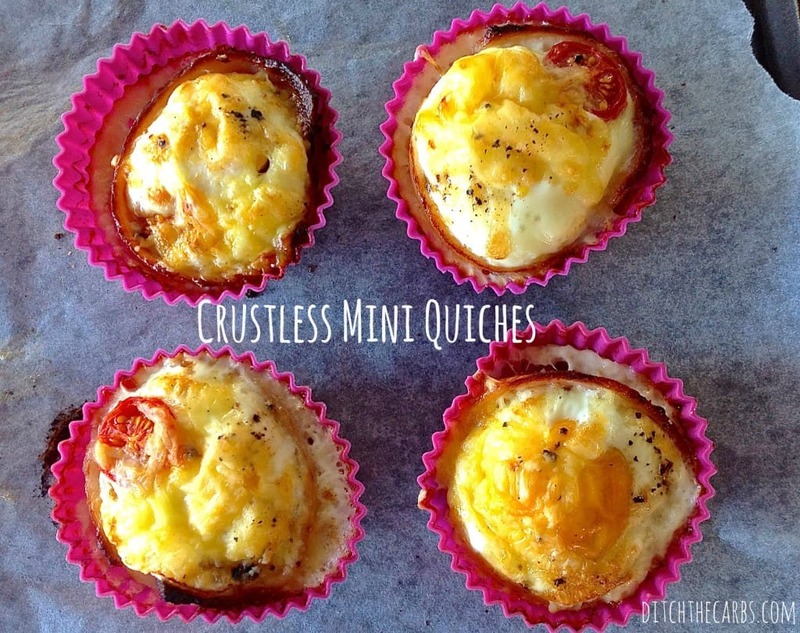 Pop them in the freezer and enjoy a delicious evening treat – completely keto approved. Pinwheels are delicious! The bad part is, I could eat 25 of these little things in one sitting. That is why you need the low-carb version! They are easy, dainty, and absolutely delicious! You can make these for yourself, the family, or even a special event. They are just that cute! Have you ever been out to a restaurant and ordered mozzarella sticks as an appetizer? Have you seen how many carbs are in those things? CRAZY! 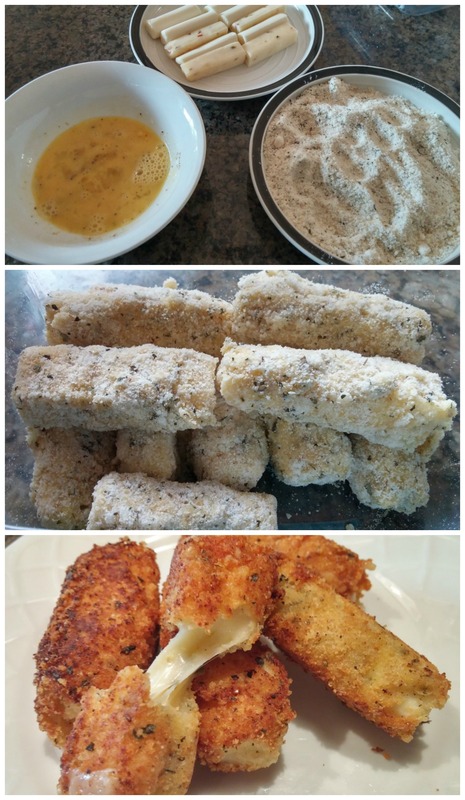 This recipe calls for low carb mozzarella sticks, coconut flour, and grated parmesan. You’ll have the delicious taste of the original cheese sticks, but with a much lower carb count! Yes! Ladies, we can still have chocolate on the Keto Diet! I would recommend that you stick with 70% dark chocolate and above. Anything below is not going to be keto approved. I personally prefer the Lindt chocolate, but there are a few great brands out there. Pro Tip: If you have a problem with binge eating (like eating the whole bar instead of just 2 pieces), buy them individually wrapped. 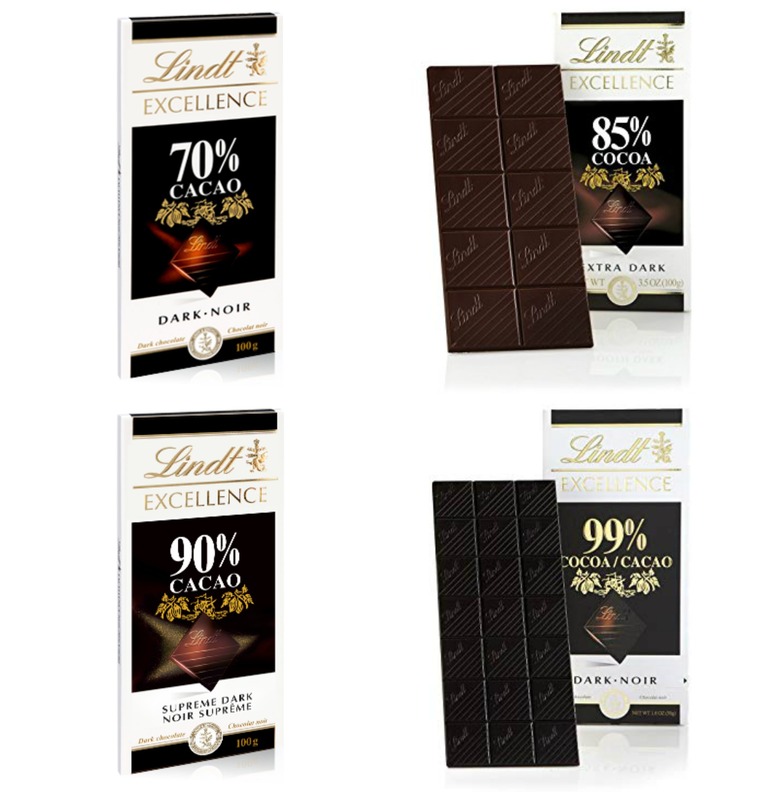 Both Lindt and Dove have individually wrapped pieces of chocolate that can help you limit your chocolate addiction! 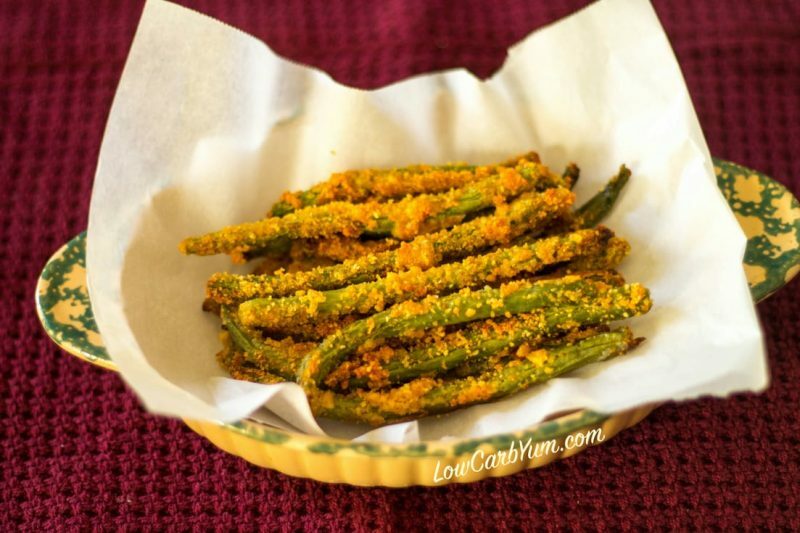 These tasty, oven fried green beans are great as a snack or a dinner side! All you do is bake them with a few seasonings of your choice, parmesan cheese, oil and almond flour. Voila! The perfect snack. 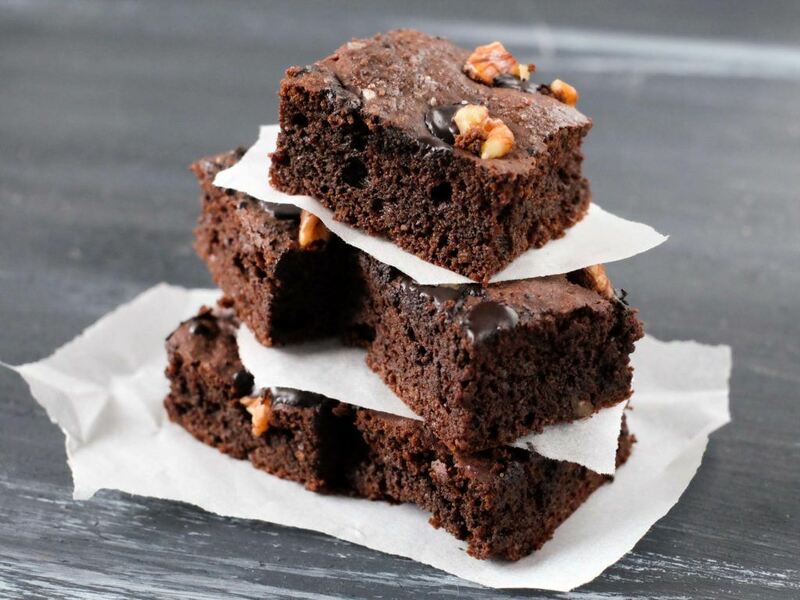 No snack list is complete without delicious fudge brownies! You can also turn this recipe into chocolate cupcakes. Pair this with a cup of delicious keto coffee and you have the perfect sweet treat! Crackers and cheese was one of my favorite snacks growing up. However, on the keto diet, most crackers are off limits! This recipe is here to save the day. Make a large batch, so you can grab a handful if you get the munchies. These keto snacks will help you satisfy your need for an afternoon or evening snack without breaking a single keto rule! 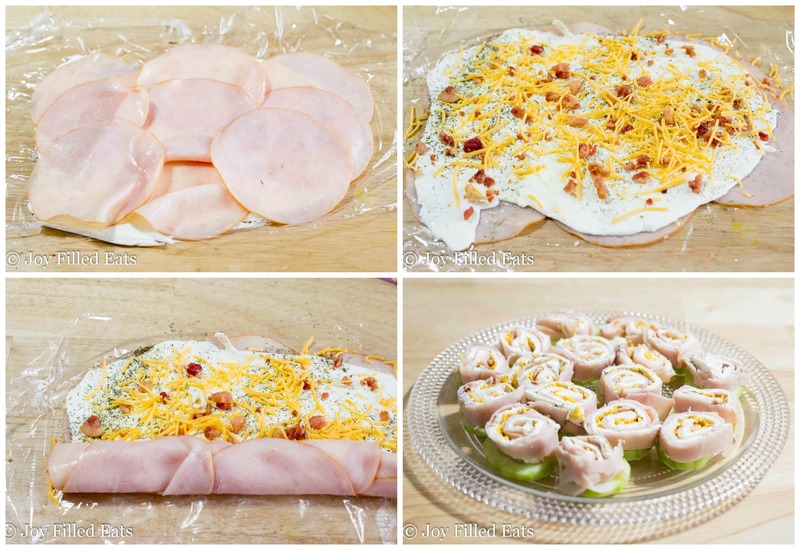 Looking for more approved keto recipes? Check out these delicious dinner meals and these low-carb desserts. How do I print out these recipes? Or do I have to buy the featured book to get them? Hello Leslie! No, you do not need to buy anything. 🙂 Under each picture of the recipe, you will see the word “Source”. If you click on the source, it will take you to step-by-step directions for each of the Keto Recipes!